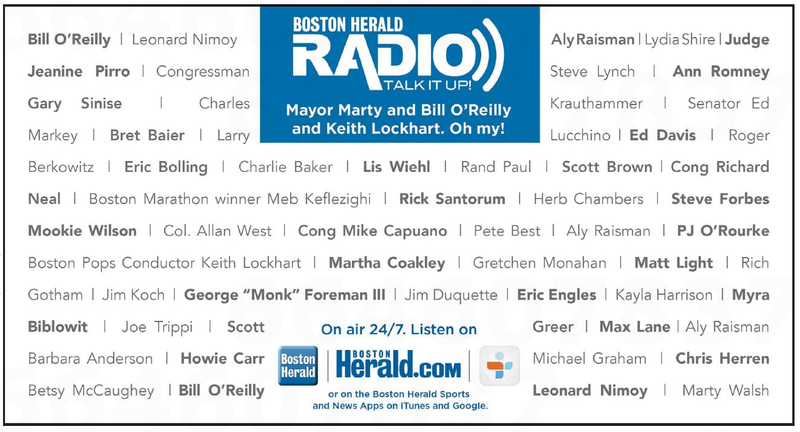 Even so, it’s a bitter pill for the slighty local tabloid, especially since today’s edition spotlights Walsh in this ad for the virtually unlistenable – and unlistened to – Boston Herald Radio. Notice that Mayor Marty’s full name appears bottom right of the ad. Think maybe he’s fallen below that in the eyes of the Heraldniks? Regardless, the headscratching staff wonders whether the good taxpayers of Boston footed the bill for Marty’s Mash Note, or if the Globe comped him. We’re writing to what we hope are the appropriate authorities at the stately local broadsheet, and we’ll keep you posted.